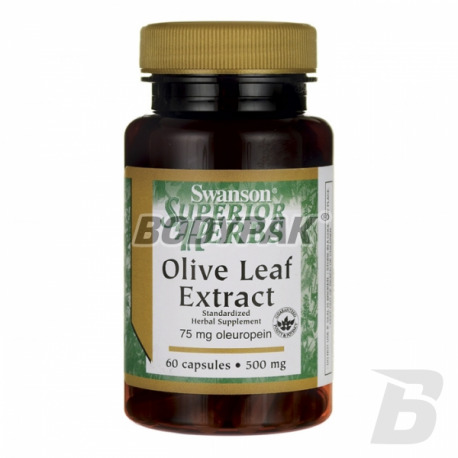 Health & BeautySwanson Olive Leaf Extract 500mg - 60 kaps. SWANSON OLIVE LEAF EXTRACT contains olive leaf extract with a high (15%) to standardize the content of oleuropein in each capsule. The product is completely natural origin so you can in good conscience accept it, even for a long time. The activity of pro-health oleuropein is based on the regulation of cholesterol in the blood and strong antioxidant properties, so that your body will be able to defend themselves against the harmful effects of free radicals (which in extreme cases can even lead to the formation of tumors). 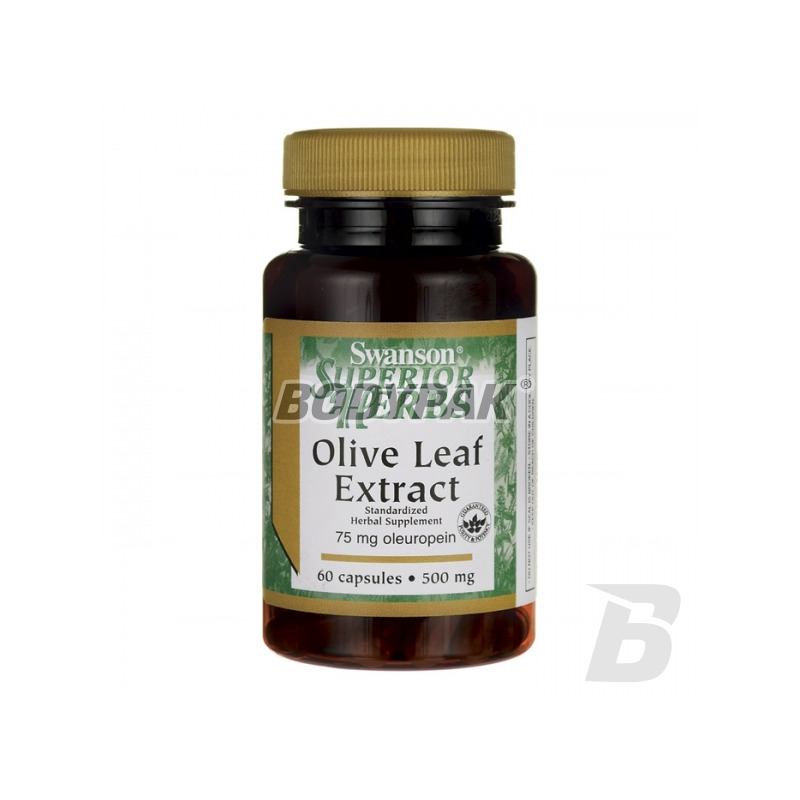 SWANSON OLIVE LEAF EXTRACT also works antibacterial and antiviral, thereby supporting the proper and efficient functioning of your immune system. The product is rich in oleic acid, which belongs to the omega 9 having high nutritional properties. The product is also used in the treatment of inflammation of the osteoarticular system, gallstone disease, inflammatory bowel disease, and even chronic fatigue syndrome. SWANSON OLIVE LEAF EXTRACT - and life becomes lighter! One capsule twice a day with a meal. Składniki: ekstrakt z liści drzewa oliwnego, żelatyna (otoczka kapsułki), mikrokrystaliczna celuloza (substancja wypełniająca), dwutlenek krzemu i/lub stearynian magnezu (substancje przeciwzbrylające).